Recently, I was asked to consider the situation of the Baha’i religious minority group in Iran. I was warned that the persecution of the Baha’is differs from the cases that I have covered to date in that the alleged atrocities are subtle; but nonetheless, have a devastating impact on the community. Say no more. The Baha’i community is a religious minority group that lives predominately in Iran but is also present in 187 other countries. In Iran, the Baha’i community is the biggest non-Muslim religious minority group with a population of over 300,000 people. The Baha’i community is branded by the Iranian government as heretical, as a sect, and this status has had an adverse effect on the very fabric of the minority group in Iran. In 2018, a report carried out by the USCIRF identified the community as ‘the most severely persecuted religious minority in Iran, not recognized by the state, and denied their political, economic, cultural, and religious rights.’ It is important to stress that we are talking about persecution that does not necessarily involves bloodshed. Yet, if you take away the political, economic, cultural, and religious rights of a person or group of people, what are you left with? It should be clear by now that the denial of political, economic, cultural, and religious rights will highly likely affect the enjoyment of many other rights. The denial of religious rights, for example, may have an adverse effect not only on the right to assembly or association but also on the right to a fair trial, the right to liberty and security of person, the right to freedom from torture, inhuman and degrading treatment. Similarly, the denial of economic rights may, in extreme circumstances, result in the loss of the right to life. The denial of political rights may ultimately mean that the group would never be able to have a say about the policies that affect them and ultimately, change them. The question is then, what effect does this persecution have upon the Baha’i community in Iran? An example of how the denial of the right to freedom of religion affects the very being of the Baha’i community in Iran is clear from looking at arbitrary detentions. The USCIRF reports that within the past decade, over 1,000 Baha’is were arbitrarily detained. That’s 100 arbitrary detentions a year. The UN Working Group on Arbitrary Detention who scrutinised the number of arbitrary detentions in Iran identified that the Baha’i religious belief was the only reason for their detention. Such treatment is clearly in breach of their right to freedom of religion or belief, minority rights and more. Throughout 2017, Iranian authorities infringed upon Baha’is economic rights by closing several shops belonging to Baha’is. The reason? Because the owners had observed their holy days. Since 2014, over 600 shops have been closed. Not being able to provide for themselves, many Baha’is may choose to migrate in search of a better life (however, considering the ever-growing migration crisis, this may be impossible). Further, children belonging to the Baha’i religion are routinely denied access to schools and often higher education too. Baha’i children that are lucky enough to be enrolled in schools are not free to learn about their religious belief or partake in their religious practice. According to the ‘Faith and the Future’ report, a memorandum from the Iran government stated that Baha’i children ‘should be enrolled in schools which have a strong and imposing religious [Shi’a] ideology.’ The situation for children partaking in higher education is no better. According to Article 3 of the Supreme Cultural Revolution Council’s student qualification regulations (1991), students are to be expelled if they are found to be Baha’i. Only Muslim or students belonging to recognized religions are allowed to take the national enrolment exam. The report further alleges that some Baha’i children have been subjected to physical abuse at schools. According to the USCIRF, 50 Baha’i students were reported to have been expelled presumably because of the university administrations learning about their religious background. The few students who dared to challenge the rejection of enrolment were prosecuted on charges of ‘membership in the anti-state Baha’i cult’ and sentenced to five years imprisonment. The discriminatory treatment of the Baha’i community, as reinforced by the Iranian government, is also reflected in the wider society. Ultimately, any such governmental treatment normalises discrimination and persecution by wider society. As the Baha’i Community of the UK identified, since 2005, there have been at least 68 documented cases of violence against the Baha’i community, presumably because of the religious identity of the attacked. In one of the recent cases, the murder of Mr Farhang Amiri, the attackers confessed to targeting him because of being a Baha’i. 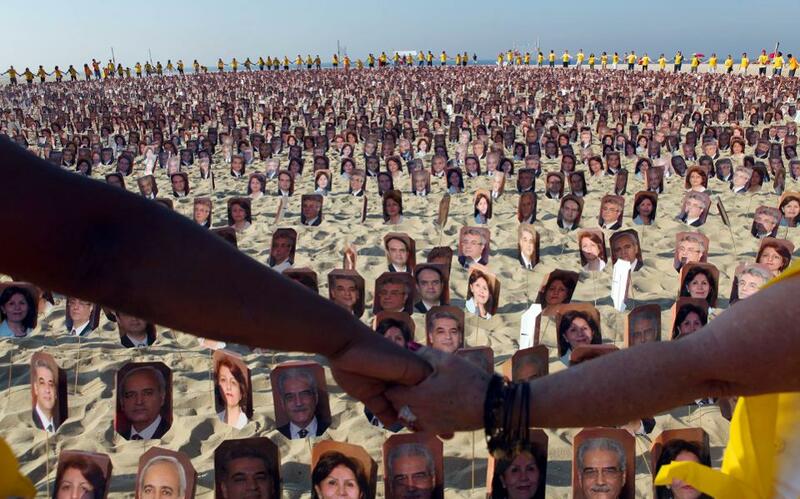 The denial of rights or severe limitations imposed on the Baha’i community in Iran is reinforced within Iranian society through wide-spread anti-Baha’i propaganda. 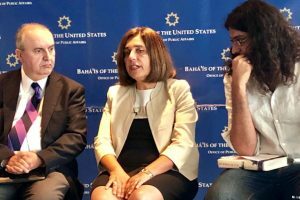 The USCIRF assessed that over the last four years over 26,000 anti-Baha’i stories were channelled through various media outlets. In light of the above, which is only a small glimpse into persecution suffered by the Baha’i community in Iran, the situation is indeed deeply concerning. 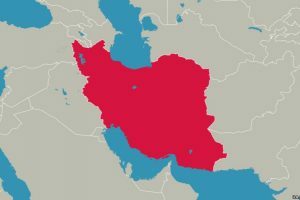 The Baha’i community in Iran demonstrates how the destruction of a minority group can be achieved relatively quietly within a state or region. It is my view that we should not wait until this persecution progresses but should instead take pre-emptive action to address the situation now. The future of minority groups, like the Baha’i community, is at stake.